Art Vancouver 2019 provides local, national and international artists and galleries with the opportunity to gain critical visibility in a commanding venue while exposing attendees to a collection of original and diverse artwork. Artists, galleries, dealers, collectors, connoisseurs and art-lovers from around the world will be in attendance. For four days the international fine arts community will be able to connect and collaborate all under one roof in beautiful Vancouver. Please register here. For any questions, contact info@artvancouver.net. Art Vancouver plays host to a world-class art event in an exceptional waterfront venue, featuring reputable galleries and artists from across Canada and around the world. 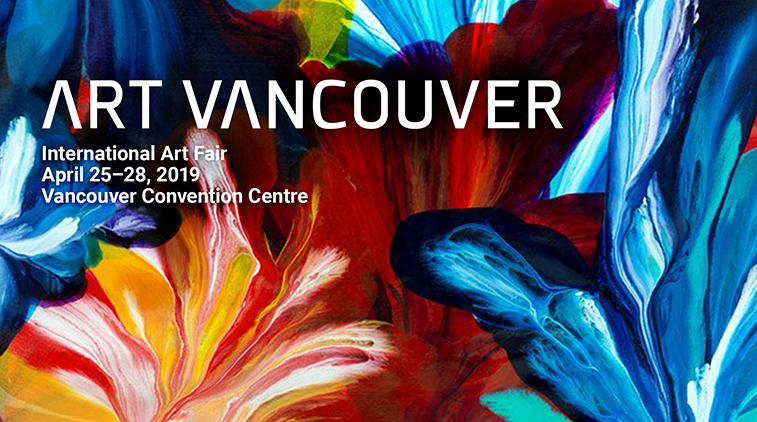 Building on Vancouver’s rich and thriving arts scene, Art Vancouver 2019 will be held under the Sails, at the Vancouver Convention Centre East – a stunning and inspirational setting where art enthusiasts and collectors can immerse themselves in a wide array of beautiful artwork. For four days, April 25 – 28, 2019, Art Vancouver connects the international fine arts community under one roof. The 2019 show will be curated to the theme of “Uniting Nations Through Art.” In a celebration of art worldwide, event attendees will have the chance to meet artists and see work from across the globe. Aside from exploring this theme through our artists, several opportunities will be available for the public to further engage. Art classes that teach techniques from other countries, speaker series & panel talk will be hosted throughout the weekend of the show. Art Vancouver is offering an amazing 30% discount on tickets to UBC Alumni. Please click on the button below, select Tickets, and Enter Promotional Code UBC30. For more information please visit www.artvancouver.net. Keep up-to-date with the latest news and events for Art Vancouver 2019 by subscribing to the newsletter and following us on Twitter, Instagram, and Facebook!